Our range of products include hdpe duct pipe for cable, ducting hdpe pipe and hdpe plb duct. 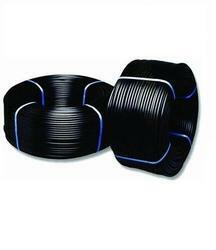 We are instrumental in manufacturing an extensive variety of HDPE Duct Pipe for Cable. Assembling in compliance with the business set rules, these channels are broadly requested by our clients over the business sector. Accessible in diverse details at business driving costs to suit the requests of customers, we intend to accomplish their greatest fulfillment. Backed with rich industrial experience, we are engaged in supplying a broad array of Ducting HDPE Pipe, these type of pipes are suitable for applications like water supply, irrigation, drainage, water supply, effluent disposal, telephone cable ducting, gas pipelines etc. These offered pipes has unique attribute like light in weight, durability, flexibility and low thermal conductivity. HDPE PLB Duct is manufactured using the high grade of HDPE with the inner layer of Anti Oxidant content and other recommended additives. The inner layer is silicon coated which minimizes the friction between OFC and the duct during the process of blowing the cable into the ducts, thus providing smooth installation. PLB HDPE duct consists of two concentric layers, the outer layer being HDPE; co-extruded with an inner uniform layer of solid silicone permanent lubricant, to reduce the internal co-efficient of friction. 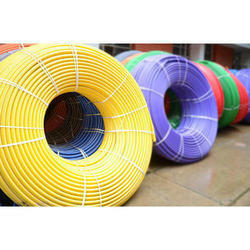 PLB Duct Pipes are used as underground cable conduits for optical fiber cables, communication cables etc. 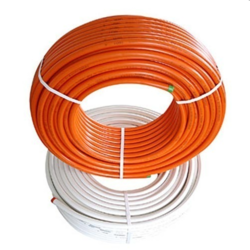 and are suitable for cable installation by blowing tor pulling by rope techniques. Visual inspection on an outer and inner surface. Dimensions - Diameter and thickness. Dolphin PLB Duct cable ducts are used for guiding and protecting cables used for telecommunications, data transmission, energy and electric power transmission lines. Looking for HDPE PLB Duct Pipe ?